The wall of heat that smacks you across the face, penetrates your clothing and fills your lungs with surprise is really quite unpleasant. 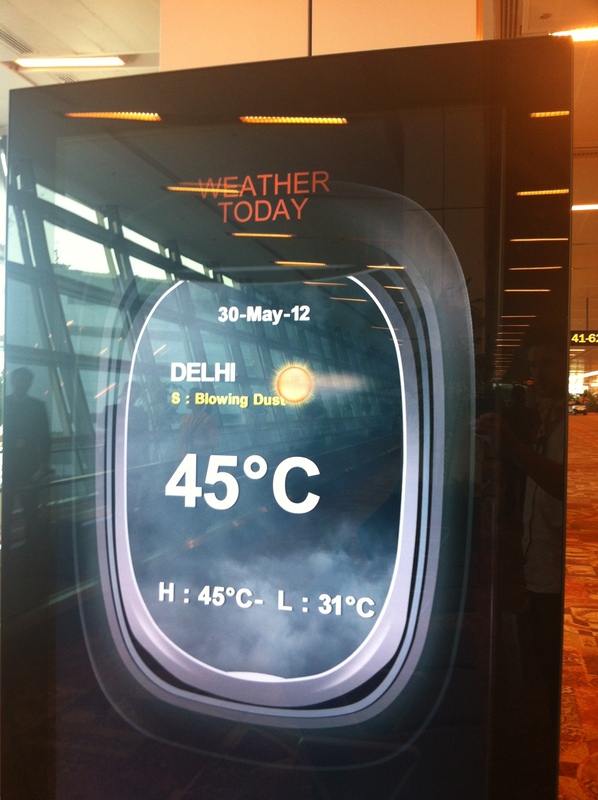 I stepped onto the Tarmac in Delhi and realised I don’t think I have ever been somewhere this hot. Maybe a sauna. Maybe. The humidity isn’t too bad so it is not a case of instantly sweat-soaked clothing, but once you are hot, it is hard to cool down and it makes everything just that little bit more difficult, more annoying. I haven’t been to India in May before, but I have been plenty of times. It is a love-hate relationship. Love the service you receive, hate the bureaucracy. Love the food, hate having stomach cramps. Love the weather, just not when it is making the road melt. I went to meet some colleagues on Connaught Place (large circular piece of turn-of-the-century town planning in the heart of the city) last night and decided that I would take an autorickshaw or tuk tuk. Cheap as it comes and the bar was not far, so I thought it would be okay. Usually when you go at speed the air in your face cools you down. Not here, it heats you up, like having a hair dryer blasted up your nose. I fell out of the thing once it had stopped and nearly ran for the nearest air conditioning, a tragic sweaty mess. Connaught Place is undergoing restoration, which was supposed to be finished over a year ago and was started several years ago. It is the centrepiece of the capital and is an absolute mess. An example of where India gets it wrong – infrastructure. I once landed at Delhi airport and sat in the car park for over an hour, not moving for traffic. When we finally got out I saw why: cows on the road. Cows outside your country’s major airport. Then I almost died on the Pune to Mumbai highway because there was an elephant walking against the flow of traffic in the fast lane. Bonkers. But I am here to work, and that can be tough when you are overheated. You also have to contend with the Indian mentality. I love Indians – they are kind, generous, thoughtful and value friendship and trust. However, they can’t keep time, love paperwork and will constantly interrupt you so that every meeting takes three times longer than it needs to. I have finished in Delhi now and am on the way to airport and a much cooler Bangalore.